We decided to pimp a KitKat Chunky, although there are 2 others already, we thought we could do better in honour of this fabulous snack! We wanted to go BIG. 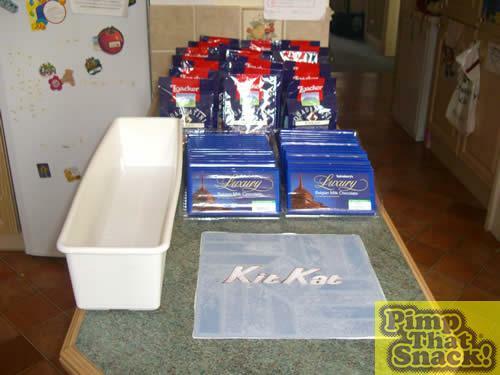 We cut out the KitKat logo from the floor tile and stuck it to the bottom of the trough ( in reverse ). 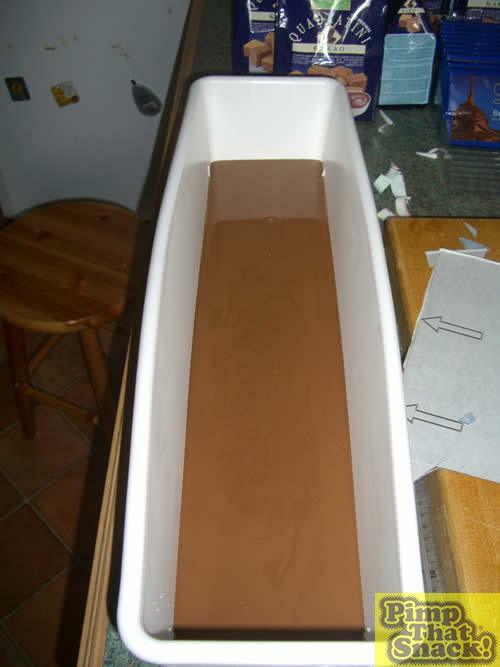 Melted about 1 third of the chocolate and poured it into the mould. The kids have never seen so much melted chocolate before! 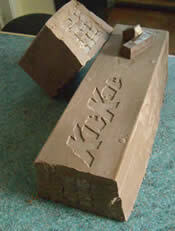 The chocolate set over night. 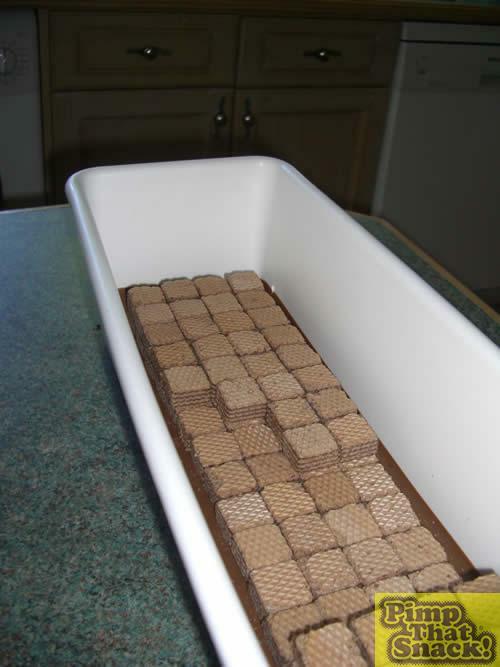 Next stage was to arrange the wafers in five layers along the chocolate.